On the 6th December 2011 the Santa Claus of Knights of Malta (KMFAP) visited again the „Brunszvik Teréz” Kindergarten of the local German minority. 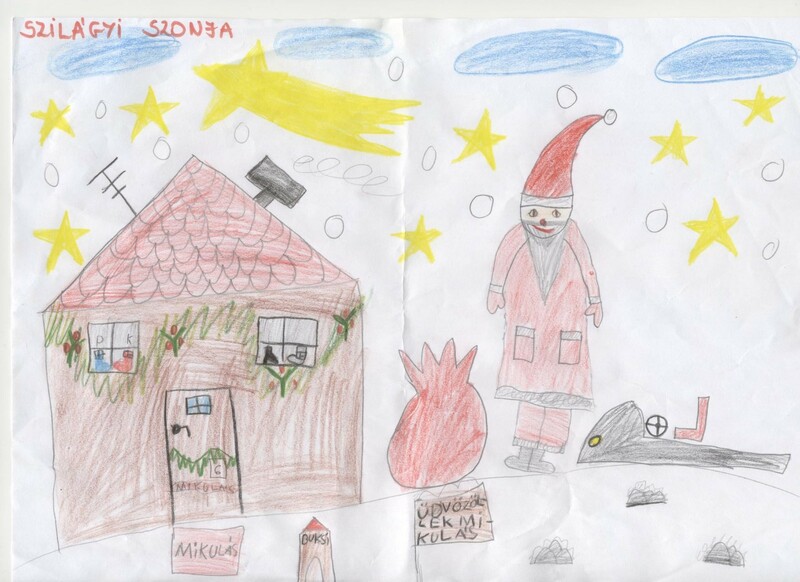 The children remembered vividly the last meeting in 2010, and upon their requests „Santa Malta” revisited them in the companionship of funny devils. The kids so eagerly waited the meeting with the Santa Claus of Knights of Malta and prepared themselves with Hungarian and German songs, and poems. Numerous children presented the long-bearded Santa with their own drawings, while Santa handed over to each child gift bag filled with delights, and also colouring books. Santa collected from some children the pacifiers (rubber teats) that became redundant at their age and he hid them deep in his bag so as not to use them anymore. At the end of the joyful meeting “Santa Malta” said that next year he will come again in order to make sure that the children kept their promise to behave good, and Santa will bring again nice gifts to good children. thank you for not forgetting about the small children this year either, for whom you caused a great joy.